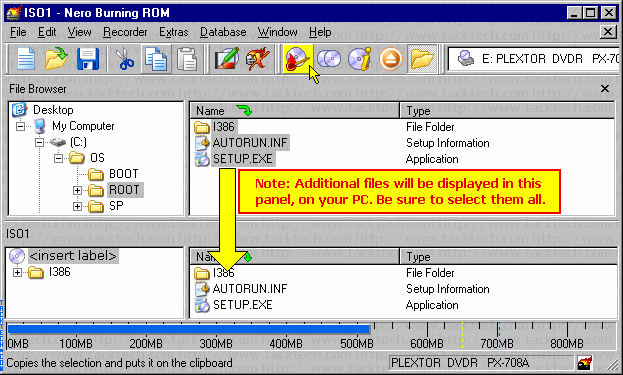 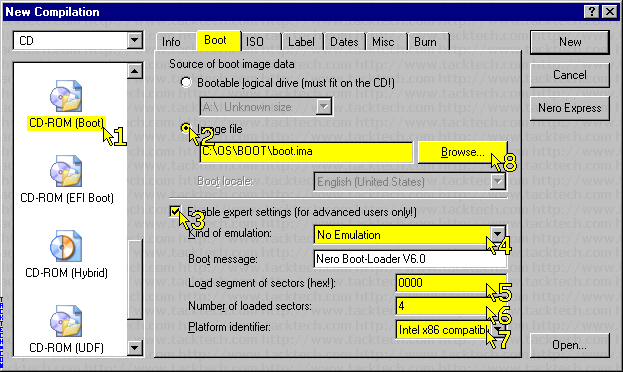 Creating bootable Windows 2000/XP/2003 Disc (Nero 6.6) (Windows 2000/XP/2003) - TACKtech Corp. 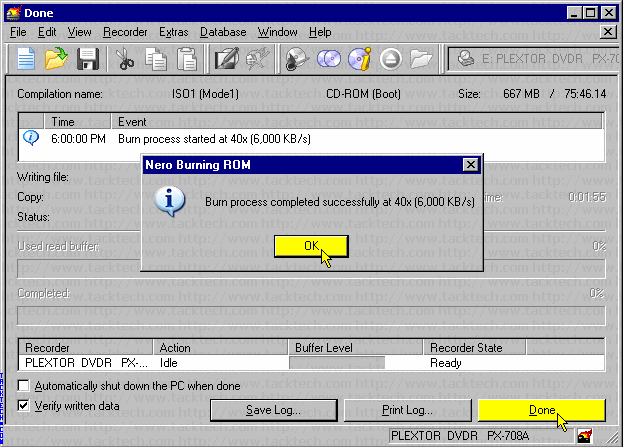 Note: Nero Burning ROM 6.6.0.13 was using in this example. 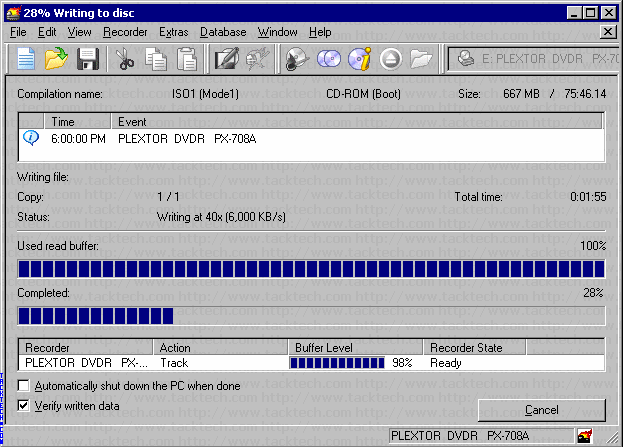 - Set Data Mode: to Mode 1. 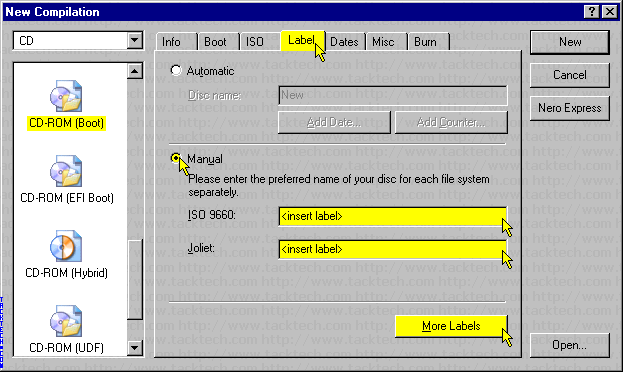 - Set File System: to ISO 9660 + Joliet. 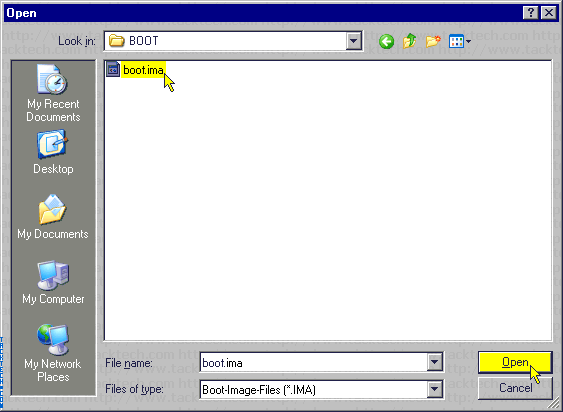 - Set File name length (ISO): to Max. 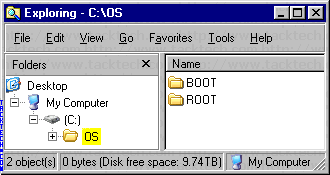 of 31 chars (Level 2). 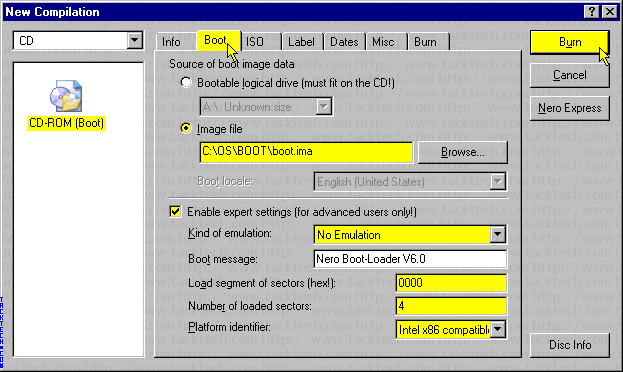 - Set Character Set (ISO): to ISO 9660 (standard ISO CD-ROM). 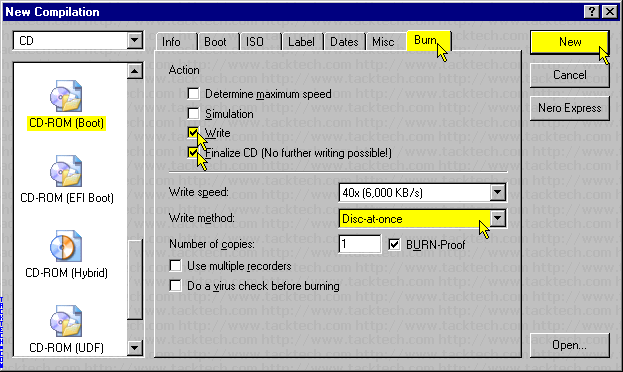 - Check all four check boxes under Relax restrictions. 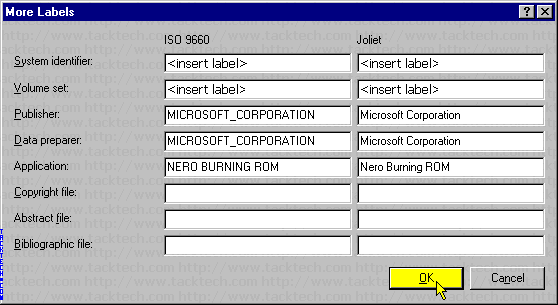 Enter the Volume Label into the ISO 9660: and Joliet: text boxes. 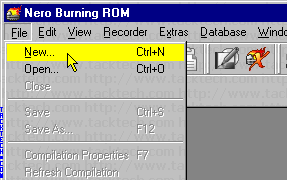 Click the More Labels button.